There's a weird thing that happens sometimes when you're a designer. Suddenly a kind of old pattern that hasn't been selling lately suddenly starts selling again. Recently, this happened with Passerine. I'm not sure if it's because it was hanging in a prominent spot in my booth at TNNA and therefore got on the radar of the yarn stores. Maybe someone somewhere is hosting a knit-a-long. Whatever the reason, I'm so pleased that it's getting some love again. 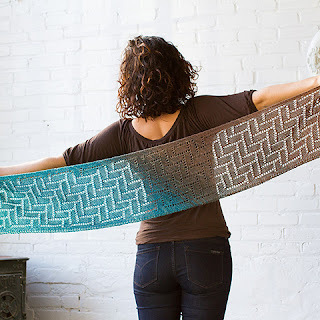 Passerine is worked on the bias in a cool, geometric pattern that only becomes more interesting by knitting it on an angle. 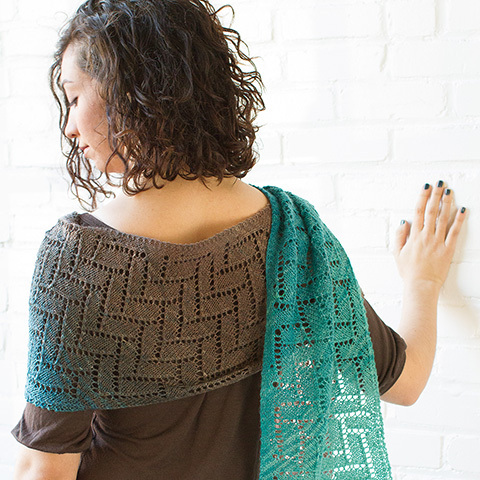 Paired with a gradient yarn like Knitcircus, you can't go wrong. I might need to design another one of these on-the-bias stoles. They're so fun!